Travelling there: Canada has numerous international airports, with Toronto Pearson International Airport (YYZ) being the busiest followed by Vancouver International Airport (YVR). Canada can also be entered by car, bus or rail from the US. Religion: Most Canadians are Christian. 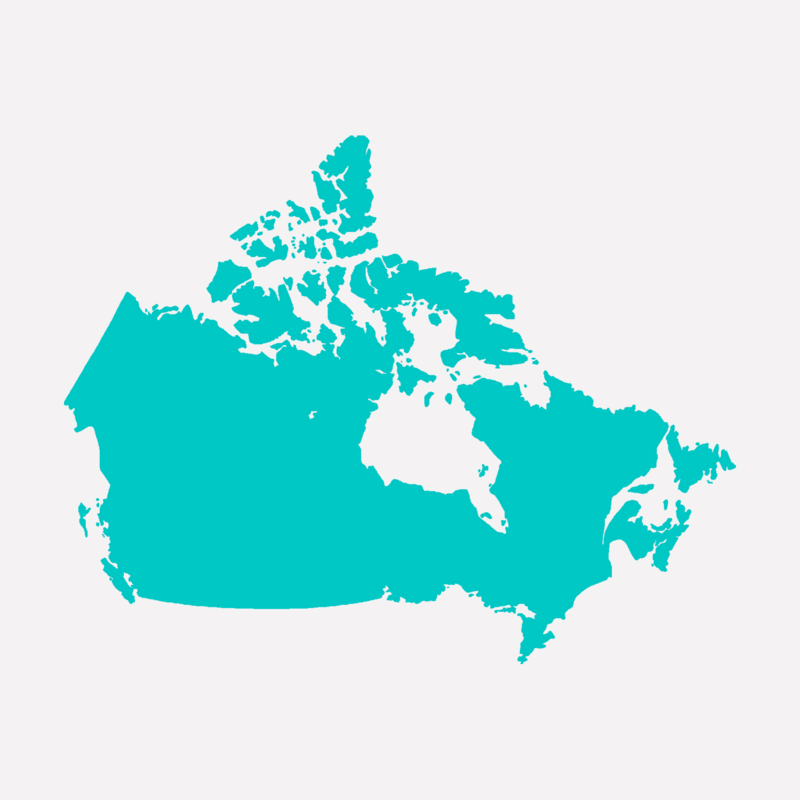 Climate: Because of Canada’s size, it is difficult to describe its climate succinctly. It can be said that it experiences four distinct seasons. Summers are hot and dry on the plains, humid in the middle of the country and milder on the coasts. Spring is pleasant, autumns are crisp and cool. Winters are cold with bouts of snow, but more mild and wet on the west coast. Transport: As always, the quickest way between points is air travel. The best way though to see the vast expanse that is Canada and its breathtaking landscapes is by train on their extensive rail network, as long distance driving can get tedious. The bus system is the economical option and can connect to even more remote locations than the rail system. Also explore Canada by cycling the hundreds of kilometres of dedicated cycleways in the warmer months. Cities and towns will have the usual bus and taxi services with Toronto and Montréal running metros. Vancouver has an above-ground monorail, and other cities, efficient light-rail. Best time to travel: Visit during spring, summer and autumn — ranging from April to October. Spring has warm days, off-peak prices and vistas of flowers blossoming. Autumn offers similar things, but exchanges flowers for stunning fall foliage. What to wear: The conditions in Canada vary greatly through the year and in different parts of the country. If traveling long distances pack wisely for the differing climate of each region. Layering is a safe bet for unexpected temperature changes. Popular Destinations: Toronto, Vancouver, Victoria, Calgary, Ottawa, Winnipeg, Montreal, Quebec, Edmonton, Halifax.